According to analysts at Avison Young, in the first half of 2010, the total value of all notable Commercial Real Estate transactions ($5M +) has crossed the $1 Billion mark, setting a new record. The last half of 2009 posted a $715M in sales, making it an increase of 43%. Since only transactions over $5M were counted, the majority of the sales were investors and institutions which include several high-profile shopping centre sales. A report from PricewaterhouseCoopers warns that Canada's Commercial Real Estate market will face foreclosures and defaults. Read more in the original article linked below from Canada.com. CMHC released a news article regarding the drop in housing starts in July in Canada. BC in particular suffered a drop from 12,000 in June to 10,800 in July, seasonally adjusted. This refers to housing starts in British Columbia urban centres, which are areas with populations of 10,000 or more. Canada overall suffered a drop of 137,800 in June, 2009 to 132,100 in July, seasonally adjusted. While this is great news for Vancouver Realtors, the article in the Vancouver Sun does mention that there were increases in every sector except commercial and industrial sectors. This means that while Residential and Institutial building permits are on the rise, nothing else is. 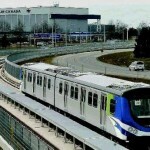 The Canada Line opening date has been announced, and it is 4 months ahead of schedule! This is good news for everyone and will be a welcome new mode of transportation for many that live in Vancouver South and Richmond, and those that would like to be able to get to the airport from further regions. There was a sneak peak open house at several stations a while back, and I have found some great photos of the open house posted on skyscraper page. For more information also check out the Vancouver Sun article on the Canada Line Opening as well. Vancouver Condo Developers may be facing new requirements as Vancouver City Council decides whether or not to require installation of Electric Car Charging terminals in at least 10% of all new Condo developments. The vote will go through on thursday. 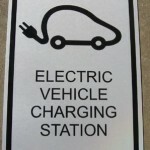 Charging stations are common in Europe and several cities in the United States, which is prompting Mayor Gregor Robertson to address this issue. The idea behind this is that requiring developers to invest in charging stations may serve as a catalyst to potential electric car buyers to purchase these types of vehicles, and reducing their carbon footprint. 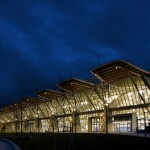 While not really a commercial property that anyone can count on selling, the Richmond Oval is a beautiful architectural masterpeice designed by Cannon Designs. The building houses the 400m Speed skating oval that will be used in the 2010 Winter Olympic Games. Industry Veteran Michael McKiernan leaves Cushman and Wakefield to join Avison Young as Principal and Managing Director of Avison Young Chicago. McKiernan previous held the position of Executive Managing Director and Branch Manager for Cushman & Wakefield in Chicago. Avison is the largest independantly owned Canadian Real Estate Brokerage Firm. They operate offices across Canada and in Chicago, IL. According to Dave Hobden, an economist with Central 1 Credit Union, we should see a stabilization and aubsequent recovery of the Commercial Real Estate market in BC over the next 1-2 years. Hopefully this is true, but we all know how often Economists are right!